This beautiful scarf has been shared by many knitters. It’s a simple pattern where the yarn does the hard work. Originally made with Noro yarns, I tried it using some yarn I already had. 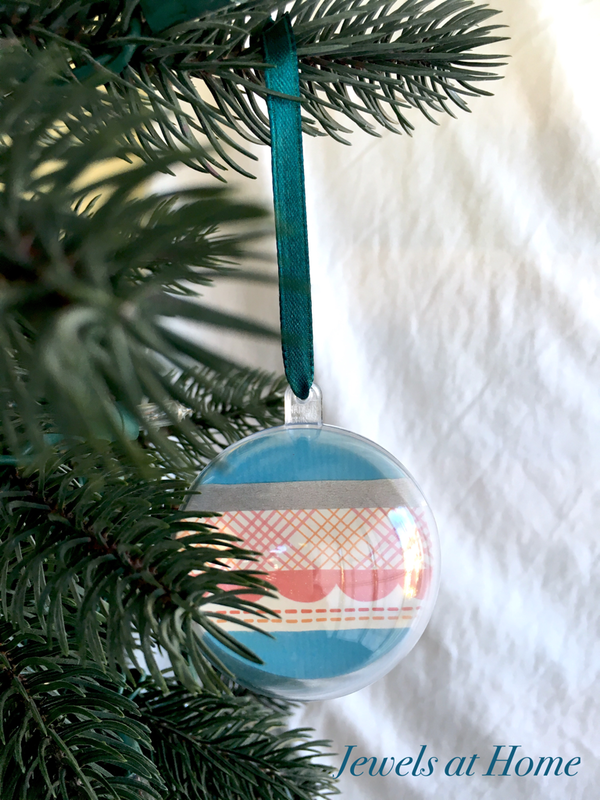 The concept is simple – two colorways of self-striping yarn alternating every two rows. The ever-changing combination is mesmerizing and beautiful. This scarf is addictive to knit, because each section comes together in a unique pattern. It’s also very photogenic! My passion for pretty papers goes way back, but I confess that when washi tape first became popular, I didn’t immediately fall in love – it’s not too late, though! 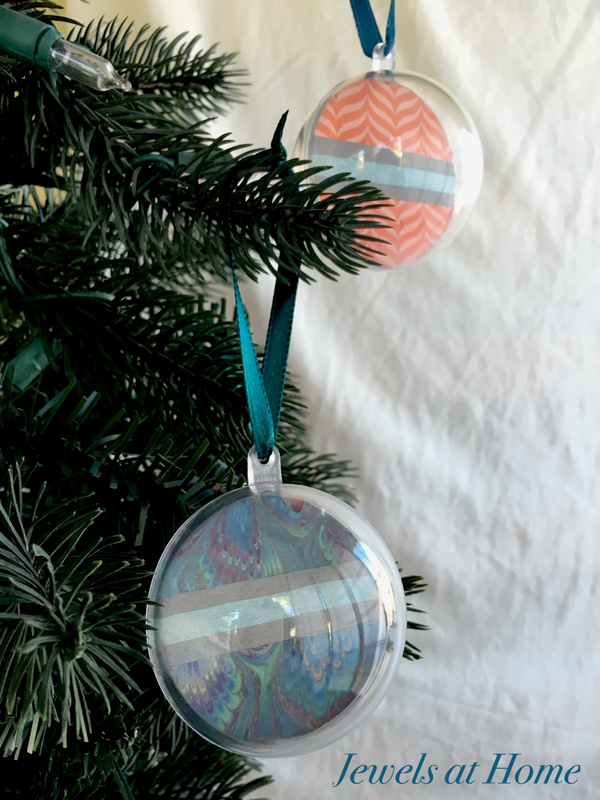 I had so much fun combining patterns and colors to make these pretty ornaments. 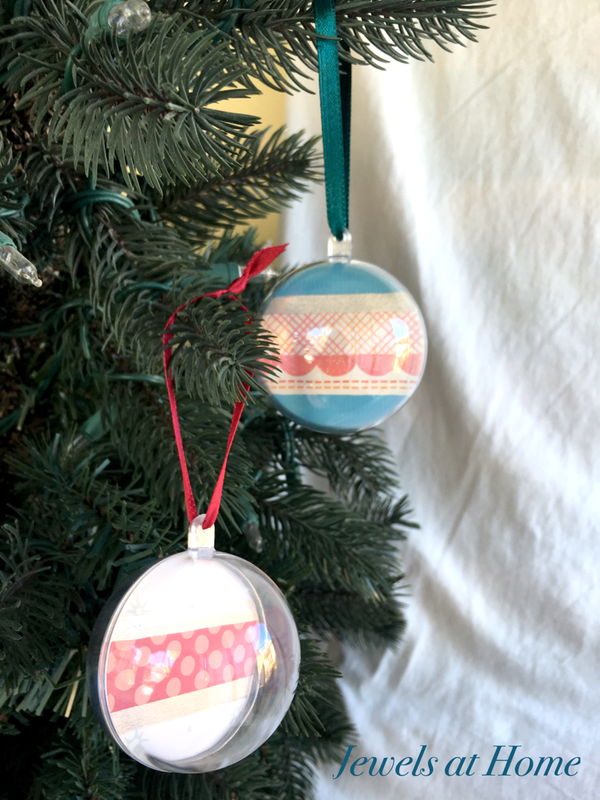 These lovely decorations are quick to make, and I will be bringing this project to work for our holiday party. 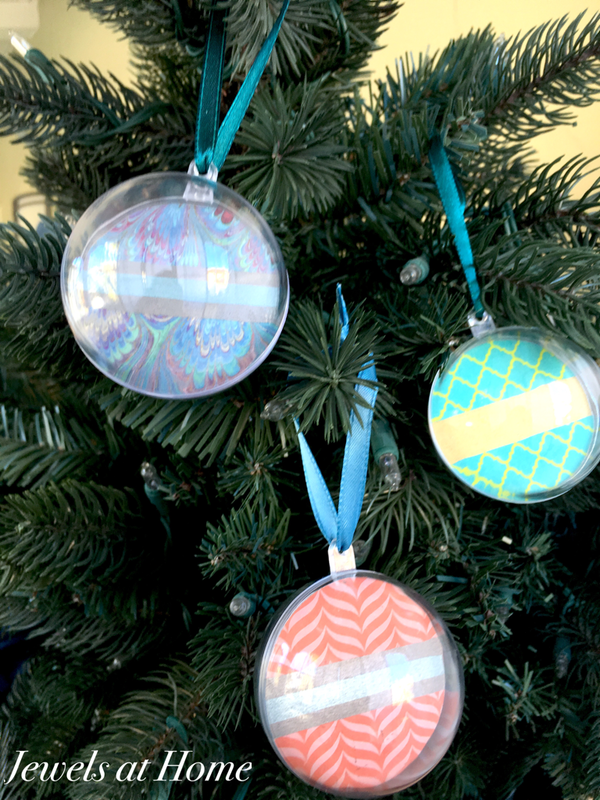 I also made a personalized version of these ornaments with kids’ names inside. 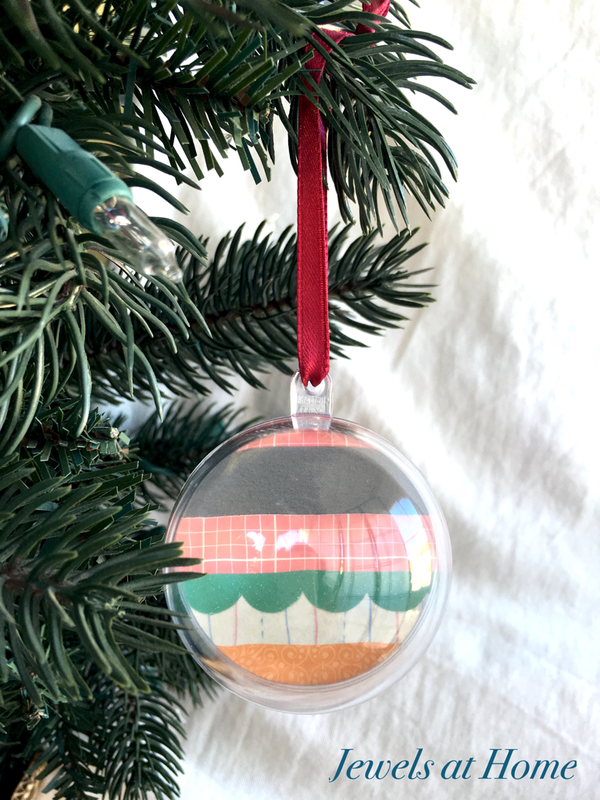 Add a ribbon for hanging and you’re done! 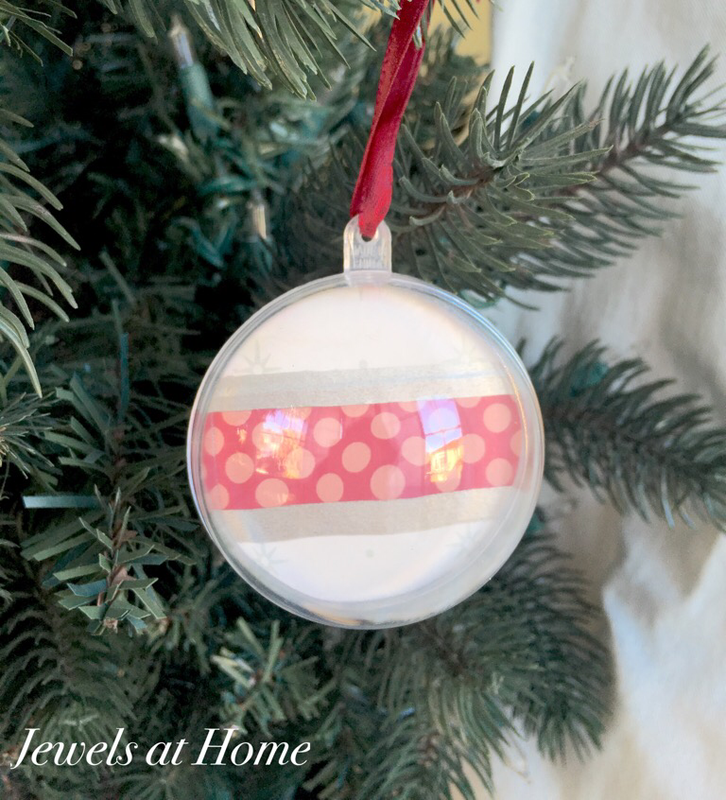 Go crazy with the paper (I did!) and have fun!! Here’s the thing about the fog in San Francisco: you have to believe it is mystical and beautiful, or else you would just become horribly depressed. 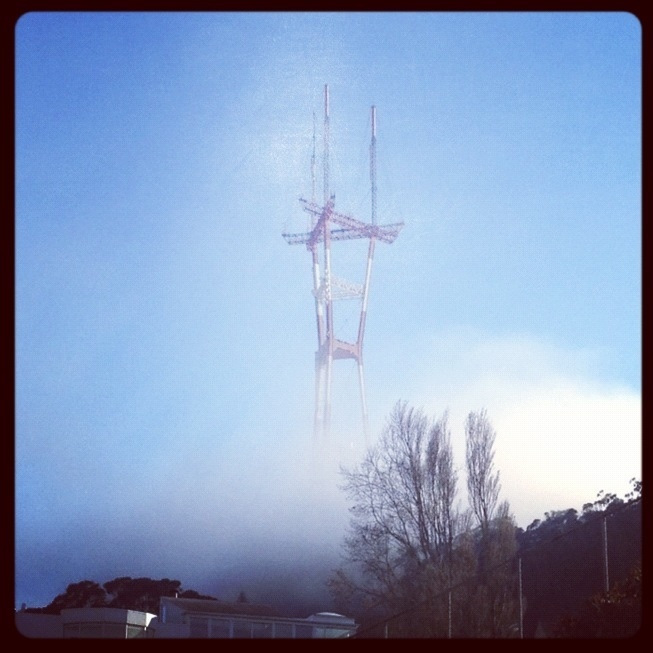 See that giant “cloud” at the base of Sutro Tower? Yes, that is fog. Brrrrrr. So, when we started planning an outdoor movie night for our oldest’s birthday party, I was a bit nervous, since the evenings are often chilly where we live. I decided to make fleece blankets for the boys to use during the movie, thinking they would also be great party favors. 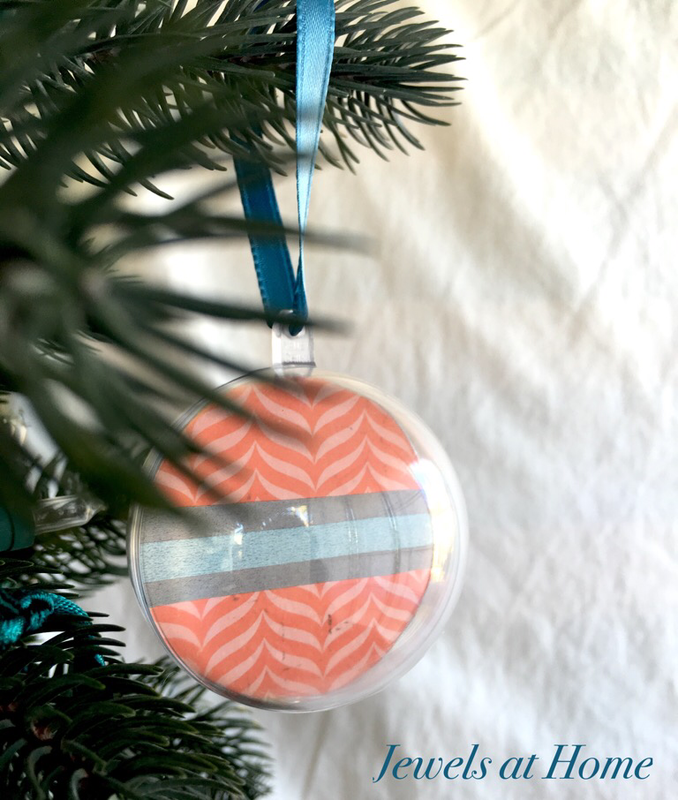 I mentioned in the post on alternative birthday gifts and favors that I like to give one or two larger items that can get some long-term use, rather than a lot of small disposable items. 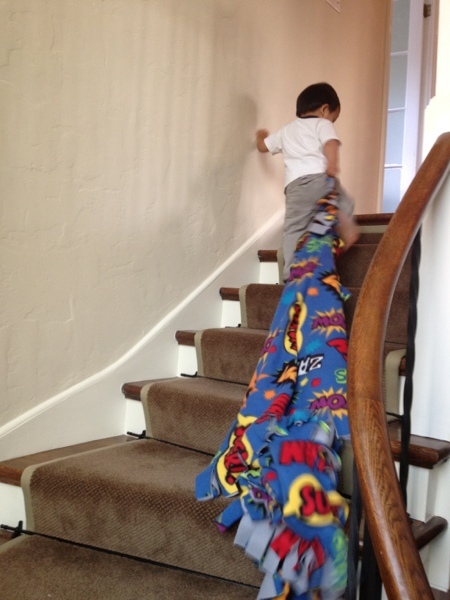 There are a lot of ideas for fleece blanket projects out there. 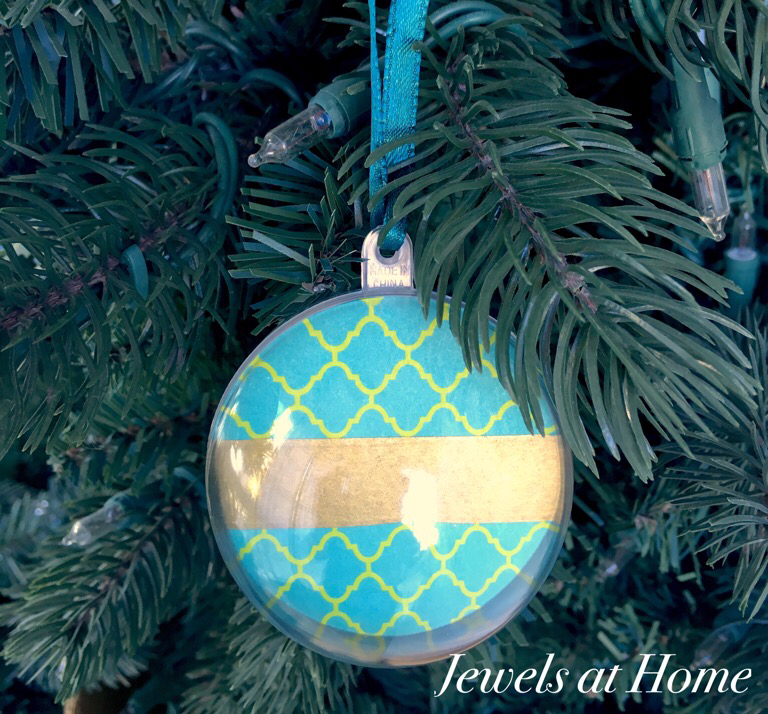 I was looking for something that would be substantial, easy to make, and still look great. 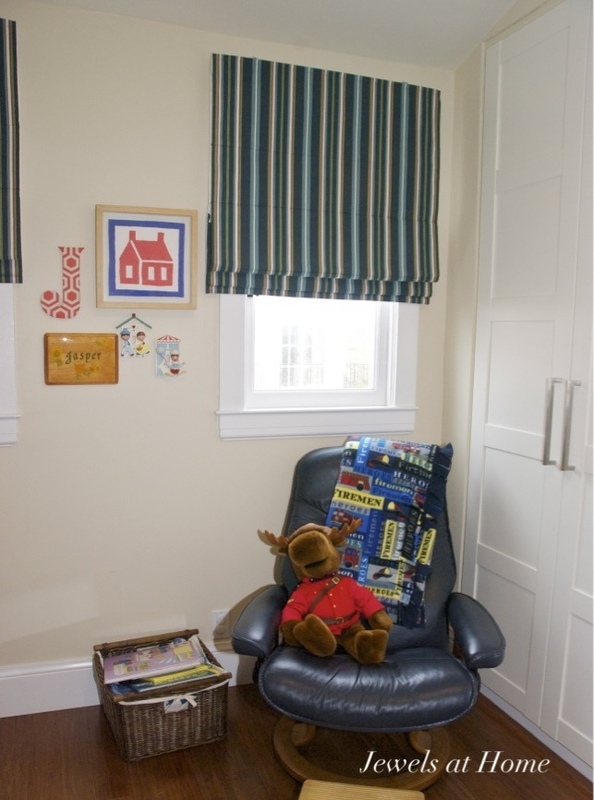 That’s a tall order, and I was very happy to find this tutorial for an “Easy Peasy Fleece Blanket” from Polka Dot Chair. I made a few small changes when I did ours, and now everyone can stay toasty warm during our movie! fleece – 1.5 yards of two fabrics (front and back) for each blanket. I found some fleece on sale or as remnants at the local fabric store and bought the rest from fabric.com. They had the best price I could find, when you take into account shipping costs and clearance items. 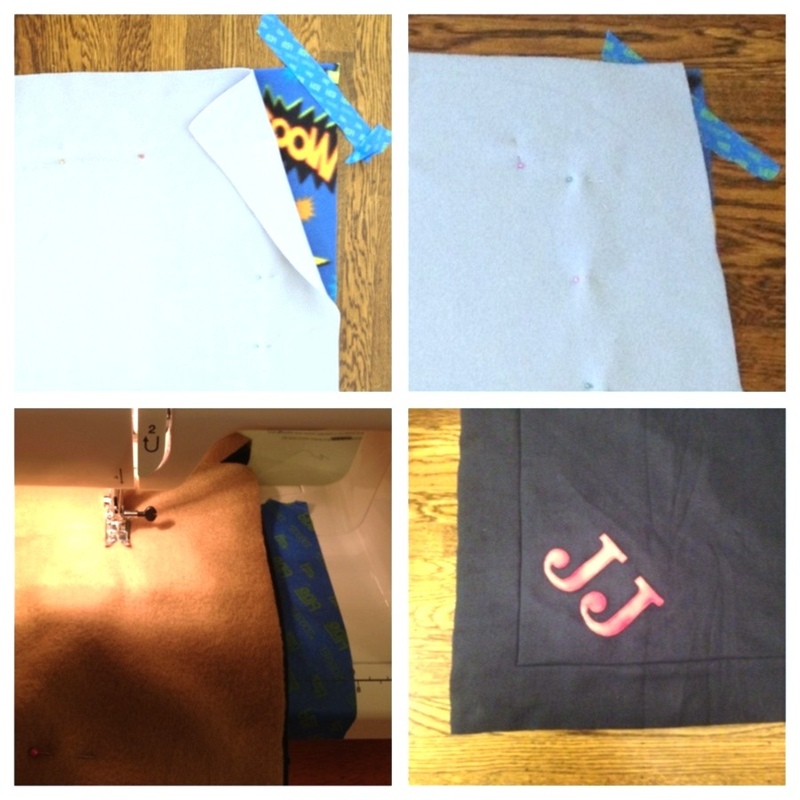 I can do appliques in my sleep after all the recent appliqued clothes I’ve made for the kids! I decided to do first and last initials for our monograms, since we had a few kids at the party with the same first initial. I printed the initials in Century Schoolbook font in 430 pt bold. I then traced them in reverse onto the Heat ‘n Bond. I held them up to a window to trace. Print out the letter templates and trace them in reverse onto the Heat ‘n Bond. I ironed the Heat ‘n Bond onto the fleece, cut out the letters, and ironed the letters on to one side the blankets, using a press cloth. 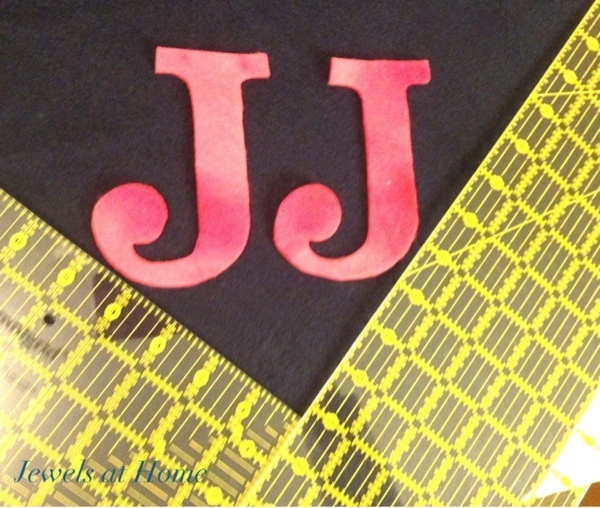 Because the fabric is so thick, it helped to iron again from the back, to get the letters completely fused to the blanket fabric. I wanted to apply the letters before sewing the blankets, so the stitching would not show through on the other side of the blanket. I had trimmed the fleece for each blanket already, so I knew the finished size. I then used rulers to mark off 5″ from each edge (3.5″ for the fringe and 1.5″ for spacing) and placed my letters in the corner (first picture below). 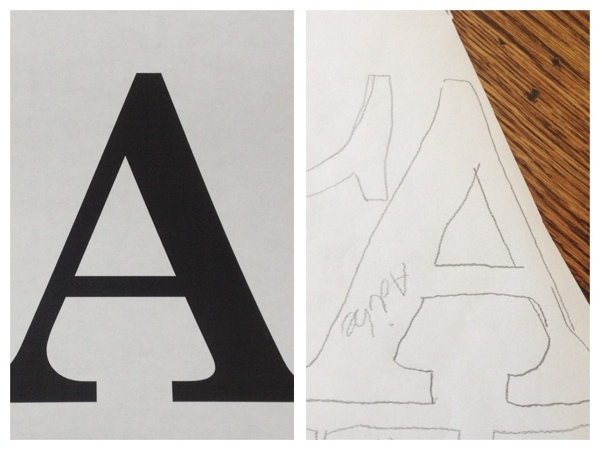 I then sewed around each letter to secure it (second picture below). Iron your monogram in place in the corner. I measured 5″ from each edge, to allow for the fringe and some extra space. Sew around each letter to secure it to the blanket. 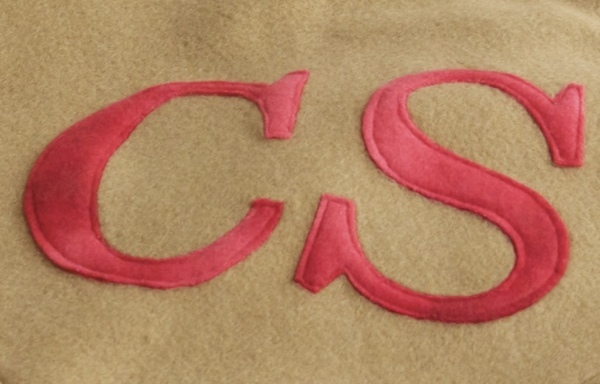 I then sewed the letters on one side of each blanket, as described above. I pinned the two sides together (top right picture below). Lay out your fabrics, wrong sides together. Pin and trim. Sew with a 3.5″ seam allowance. When I was done sewing, I cut strips about 1.25″ wide all around the blanket to make the fringe, stopping 0.5″ from the stitched line. Here are the finished blankets. I love how each one is unique. The younger boys had fun prints on their blankets, and the older boys had solid fabrics or the graphic stars. 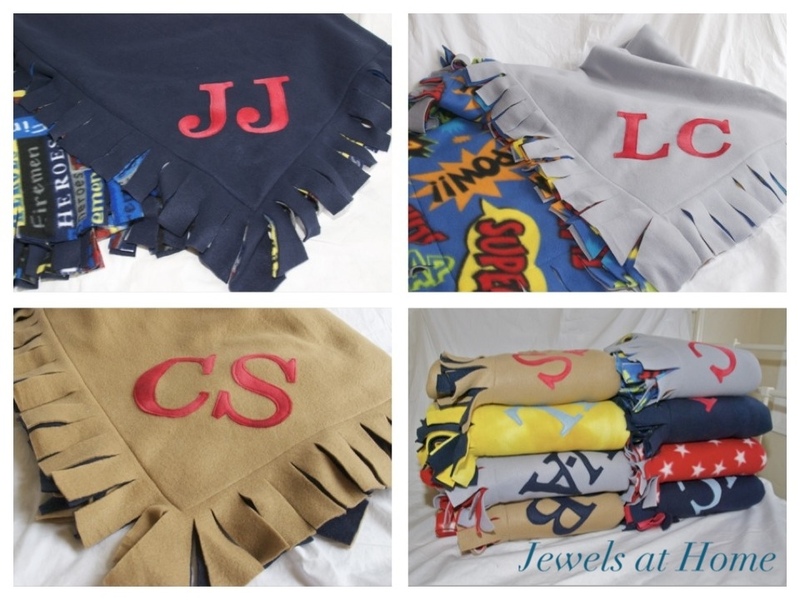 So many ways to vary this simple fleece blanket design! 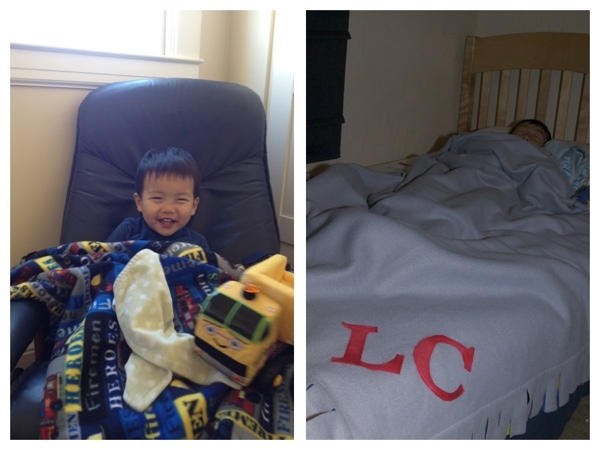 My younger boys were clamoring for me to finish their blankets, so they could use them right away! I like how Baby J’s firefighter blanket fits in with the rest of his nursery. 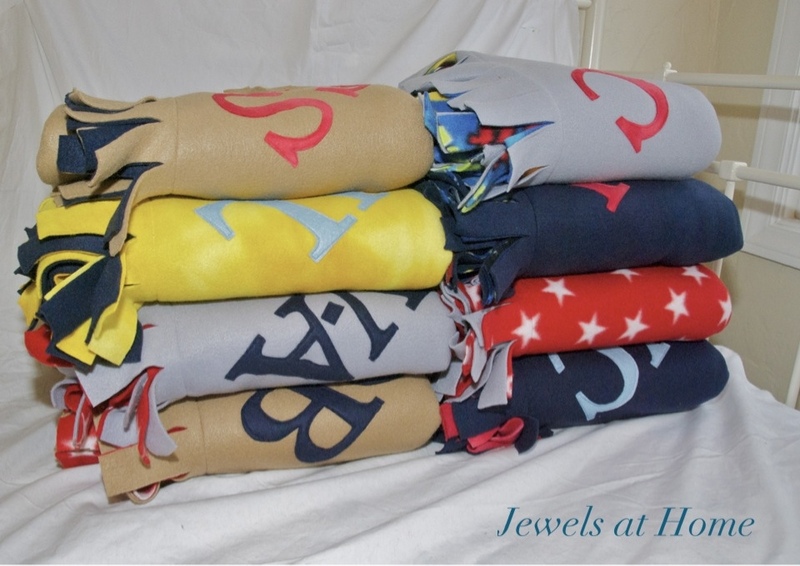 And here they are one more time: cozy fleece blankets all ready for movie night! If I remember, I’ll take some pictures of the boys bundled up for the show.